Next spring I am going to walk at my college graduation and as I get ready to this essential day in my life I feel that I should be thankful mostly to one special thing that is YouTube. Frankly speaking, I went to it while working on assignments, preparing for exams and just when it was necessary for me to find what meaning a term has. Actually, this is the first place I choose when I need to learn something regarding a subject I don’t know much about. As a matter of fact, YouTube has been really helpful for me in understanding some scientific concepts. In addition, it offered lots of various explanations. One day in high school, my teacher of Economics decided to introduce Keynesian economics to us. The main theme of the video is a fun dramatized rap battle between two opposing philosophies that are credited to John Maynard Keynes as well as Friedrich Hayek. I didn’t have even the faintest idea concerning either economist before watching this video. 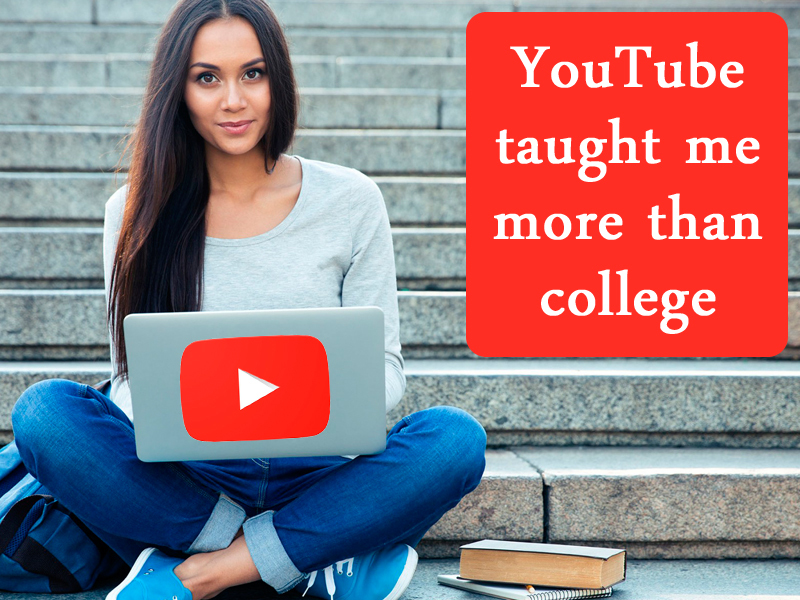 In my opinion, YouTube gives an opportunity for students to explore different learning styles. I suppose, this is its biggest benefit. In reality, many students find learning with visual aids or animation much more effective. They prefer learning at their own pace, too. Thus, it’s possible to take advantages of YouTube, pausing and returning to the same video a lot of times. Khan Academy is considered as one of the best YouTube channels that educates people. Now it is an independent platform, non-profit organization. It’s founder, Sal Khan, made up his mind to begin creating YouTube videos in order to tutor his cousins when he worked at a hedge fund. This person has taught millions of people all around the world on a big variety of subjects since that time. A style of Khan Academy’s videos is rather simple. However, it is very effective. In these videos, he uses a visual aid. Originally, it was just a pen that writes on a screen. It can engage you with animations as well as interactive videos. The most difficult topics in math or science are here explained extremely simple. If a student doesn’t have an access to professional teachers and certain subjects, this amazing channel can become the main resource that provides access to relevant material that this student would not otherwise get. I’m not persuading that we ought to consider replacing educators with YouTube and choosing between the two. I only recommend that it would be much better to combine these both resources. As a result, studying process will be more productive. There is a reason why I think that studying in college is obligatory. If you watch YouTube you won’t get mentorship together with insight. These two things can be provided only be professors.